Diagnosed with dyslexia at a young age, Aakash Odedra found conventional education at school very challenging. He felt defined by his learning difficulties, rather than his abilities. As written language was so alien, dance became his preferred mode of expression. 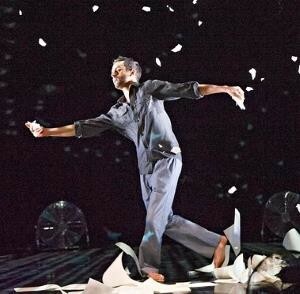 In 2011, he formed the Aakash Odedra Dance Company as a platform to choreograph his own work. Our daughter’s confidence has grown tremendously and her ability to share with us what she needs to be a successful learner is wonderful. As we head into parent teacher conferences we are no longer filled with dread and fear. After her first evaluation with the reading specialist this year, she is reading at grade level! She is excited to continue to work on her trigger word list after feeling successful for the first time in years.